For most types of private student loans, the only way that the lenders can forcibly collect from borrowers is to file a lawsuit in court. That’s because most private student loan lenders do not have the same collections powers as the federal government – they generally cannot garnish wages, put a lien on a home, or seize any assets without first obtaining a court judgment. That judgment then gives the lender additional powers to pursue the borrower if he or she doesn’t start paying. 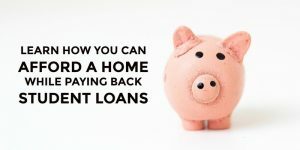 If you default on your federal student loans, the consequences can be pretty severe, but it’s generally unlikely that you will be sued. That’s because the federal government has enormously powerful tools to pursue defaulted federal student loan borrowers without the need for a court order. Federal lenders and debt collectors can garnish wages, intercept federal tax refunds, offset Social Security benefits, and seize federal income streams – all without stepping foot in a courtroom. While the feds do sue borrowers in some cases, especially when a borrower is not otherwise “reachable” through its normal collection methods, it’s not particularly common (at least in Massachusetts and New York, where I practice). But private student loans are another story. 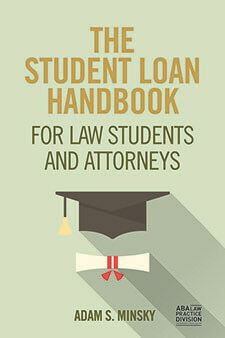 Private student loan lenders do not have the same powers as the federal government. They generally cannot do anything to you without obtaining a court judgment first – and that requires that they file a lawsuit against you. But suing you is only the first step in the process. 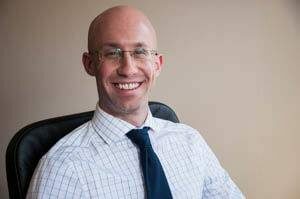 I’m running a seminar in Boston on March 28, 2017 with a local financial planner and real estate agent on managing student loan debt while planning for home ownership. The event is FREE, but space is limited. Check it out, and sign up to attend! Student loan payments have taken a toll on the lifestyles of college graduates for years. Even when working full time, it’s challenging to afford your monthly payments and still have a life. With the average class of 2016 graduate coming out of school with over $37,000 in student loan debt, how is anyone supposed to be able to enjoy themselves? Happy New Year! I hope everyone had a wonderful holiday season. For better of for worse, it’s the time of year for New Year’s resolutions. We’re all going to exercise more, eat better, and call our long-distance relatives more frequently, right? (Well, for at least a month or two). 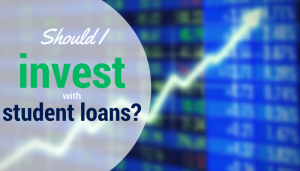 Should I Invest if I Have Student Loans? The following is a guest article by Jon M. Luskin, a fee-only CERTIFIED FINANCIAL PLANNERTM (CFP®) at Define Financial. If you’re spending less money than you make, give yourself a pat on the back for being frugal! But, how are you going to handle that extra cash: pay off your student loan debt, or invest? Why would anyone with a student loan balance invest in the stock market? Because you’re hoping that the investment return will be greater than the interest rate on your student loan. This month, I’m wrapping up two cases that involved major federal student loan consolidation errors by the U.S. Dept. 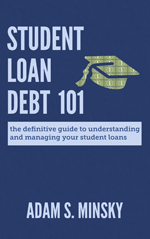 of Education and an assortment of student loan guaranty agencies, servicers, and debt collectors. These errors were massive, complex, and entirely not the borrower’s fault. They also took months of effort and coordination to resolve. I am ecstatic that we obtained good outcomes for my clients and got the errors fixed, but unfortunately these problems are not exactly uncommon. It really shouldn’t be this difficult for student loan borrowers, but sometimes, it is. 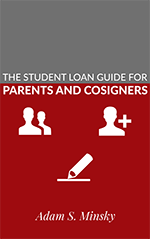 If you’re thinking about consolidating your federal student loans through the federal Direct consolidation program, there are potentially many benefits: streamlined repayment (one combined loan, one servicer, one monthly bill); simplified interest (if you are converting variable-rate loans to the fixed, weighted-average interest rate provided by the Direct consolidation program); default resolution if you are including defaulted federal student loans in the consolidation; and conversion to the Direct loan program through which you can access some additional student loan forgiveness and repayment programs. September 15, 2016, “Student Loans: Debt and Forgiveness 101,” Association for Behavioral Healthcare, Natick, MA. September 18, 2016, “Student Loan Intensive: A full-day workshop for financial advisors,” 2016 Conference, XY Planning Network, San Diego, CA. October 5, 2016, Student Loan Management for Attorneys and Law Students webinar, North Carolina Bar Association Center for Practice Management. October 6, 2016, Student Loan Management for AmeriCorps Members webinar, AmeriCorps Legal Advocates of Massachusetts. October 7, 2016, Student Loan Management for Financial Planners, Financial Planning Association of Massachusetts, Quincy, MA. October 21, 2016, “Developing a Student Loan Practice,” Consumer Rights Litigation Conference, National Consumer Law Center and National Association of Consumer Advocates, Anaheim, CA. Are you interested in a student loan training or workshop for your organization? Find out more, and let me know.